No matter who you are, you know that moving can be stressful, annoying and expensive. You spend hours packing, cleaning and organizing. You have to cancel services, have your mail forwarded and change your address on all of your identification and paperwork. It’s easy to become overwhelmed. 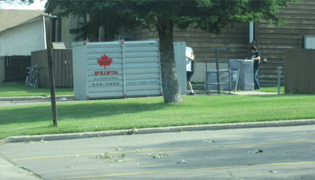 That’s where the professionals at Vic’s The Moving Man come in. We take at least some of the stress out of moving. We offer a wide variety of personalized moving services at some of the most competitive prices in Langley. We work with you to deliver the services that you need for your unique situation and always ensure that every aspect of your move goes smoothly. Our experienced and dedicated team has the skill needed to transport and handle even the most complicated, delicate or fragile objects, from a glass vase to a grand piano. At Vic’s The Moving Man, we are proud to serve the entire Langley area. We know Langley is a great place to live, work and raise a family. 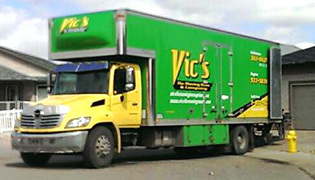 Whether you’re moving across town or across the street, you can trust Vic’s The Moving Man. We offer a wide range of moving services to help make the entire process simple and hassle-free. We know that there are many different aspects to planning a move, from closing dates, lease expirations, work schedules, building management restrictions and more. This is why we work with our customers to deliver the services they need on a schedule that works for them. Our highly-trained movers and dedicated consulting staff all have years of experience in making moves easier and more convenient. This gives us the edge over other Langley moving companies. We take pride in the reputation we’ve built and greatly appreciate that our customers frequently recommend us to their friends and family. At Vic’s The Moving Man, we are completely dedicated to providing the very best service to our customers by offering professional moving services at affordable prices. Unlike a local move, a long distance relocation may require additional paperwork, transferring utilities to unfamiliar companies, finding new schools and services and handling transportation of vehicles and belongings. All of this work can quickly become overwhelming. When you work with an experienced mover like Vic’s The Moving Man, you save time and energy on the move itself, which lets you focus on other important tasks. When we pack and plan all of the actual moving aspects of your move, leaving you free to spend your time planning and adjusting to your new home and community, whether it’s in Langley or farther away. At Vic’s The Moving Man, we know that moving isn’t just packing belongings into boxes and crates. We understand that you have trusted us to take care of your memories and precious items. For this reason, we are dedicated to proper storage and packing techniques to ensure that each item arrives exactly as it was before the move. Our packing crews always use professional grade packing materials and protect your valuables with care. From specialized cartons and recyclable paper to bubble wrap, foam, plastic wrap and reusable quilted moving pads, we take the time to ensure that your belongings are packed safely and correctly. For fragile items that require special care, such as stained glass windows, artwork and chandeliers, we use custom wood crates that are constructed to the exact specifications needed to protect these valuable items. We’ve moved furniture and home appliances for families in and around Langley for years. It is our goal to make it less stressful to move. Plus, we provide you with all of the necessary packing materials and always protect your property from damage during transportation. 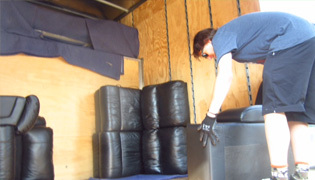 Our long distance movers can even prepare your furniture for moving. We’ll disassemble and pack all furniture according to safety requirements and move it safely and securely across any distance. Our skilled movers take an innovative and responsible approach to moving, which makes us an excellent choice for Langley furniture moving. Our moving experts even work to develop the best route for your move in order to save you time and transportation costs. For moving to Langley, from Langley or anywhere in the Langley, BC area, please contact us for more information from our consultants and to schedule your move.